Release of Chandrashekhar Azad: How Will BSP Respond? 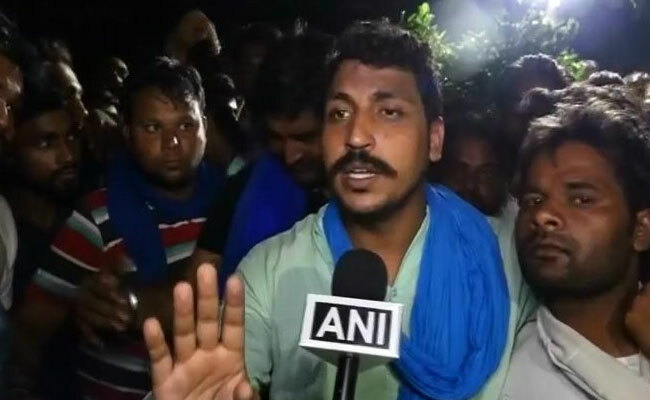 Chandra Shekhar Azad ‘ Ravan’ has been released from the jail by the Uttar Pradesh government. The police says that the cases were not pursued because his mother has requested. Some says that the state government would have faced criticism in the Supreme Court while other says that it is a political move given the nature of situation emerging in Uttar Pradesh with the pending general elections early next year when Dalit votes will be the most crucial. Chandra Shekhar Azad and his Bheem Army protested against the goondaism of the Thakurs in village Shabbirpur of Saharanpur district on the day of celebrations of Maharana Pratap Jayanti. The Thakurs would not allow celebrating Saint Guru Ravidass Jayanti to the Dalits in the village. The war of words and celebrations took its toll and resulted in violence unleashed by the Thakurs against the Dalits. Bheem Army protested against all this but it turned violent. Police Swung into action and after several days, Chandrashekhar Azad was arrested. Interesting thing is that Uttar Pradesh government did not take any action against the Thakurs who instigated the violence. Sher Singh Rana, the accused in the murder of Samajwadi Party MP Phoolan Devi has been instigating people and sharing political platform to consolidate the Thakurs. The Uttar Pradesh police and administration have shown no interest in expediting the cases against him. Phoolan Devi’s murderer is freely allowed to abuse and threaten people but Chandra Shekhar Azad was made to incarcerate in the jail for almost a year and a half. After getting out the Jail, Chandra Shekhar Ravan spoke with much maturity. He said that there is a conspiracy in his release and he would work to throw the BJP government out of power. He pledged his support to SP-BSP alliance in Uttar Pradesh despite the fact that BSP cadres have been opposing him and Ms Mayawati rarely spoke for his release. In fact he was blamed for being part of the Sangh parivar’s strategy. Shabbirpur’s incidents and Ravan’s subsequent jail also exposed the BSP’s dilemma in the region when it is trying to attract other caste votes. It would have been better for the BSP and Ms Mayawati to seek release for Ravan and justice for the people of Shabbirpur. In the last three years we have seen Dalit youths particularly those in colleges and Universities expressing their views and getting agitated because of the attempt to exclude them and threat through corporatisation of education. BSP did not speak much on these issues, neither it tried to consolidate these youths towards the party and strengthen the movement. There is no doubt that apart from the Sangh Parivar, a section of our ‘intellectuals’ and ‘media’ is jumping on every ‘accidental’ hero from the community and project him or her larger than life. Obviously, those who have been working for years, silently, get agitated and upset with these things. Dalits in Uttar Pradesh have been disturbed but mostly are solidly behind BSP and Ms Mayawati. She face no challenge in terms of political opposition with in the community because the community feel that she alone is on the ground, others dont stand a chance. Hence, in this context, I had said last year too that the party should have accommodated these youth voices. We know neither Chandra Shekhar, nor Jignesh Mewai stand a chance in Uttar Pradesh without support of BSP. BSP has its own political strategy but in politics perception too is important. BSP should welcome Chandrashekhar and ask him to strengthen the Dalit movement in Uttar Pradesh socially. The problem is that if Chandra Shekhar joins hand with any other party, we know he might not make a huge dent but he might become the reason for ‘defeat’ of many candidates of the party. I know our political parties never showed maturity in this regard but I hope Chandra Shekhar and other know that 2019 are very important. We know that BSP has not supported him but hopefully it will change its attitude and embrace him in the greater interest of the party. For the sake of India, parties like BSP need to survive and provide space to all people who come from the ideology of the Bahujan Samaj movement. There is a need for increasing democracy inside the party and space for the dynamic young leaders with vision and futuristic ideas like Chandra Shekar. We welcome Chandrashekhar’s statement that he will fight towards throwing the BJP out of Uttar Pradesh but is BSP ready to embrace him? If not let the BSP not villainize him. Support his human rights to get justice and seek justice for the victim of village Shabbirpur. Chandrashekhar must not join politics at this point of hour. He must remain solidly behind BSP and SP alliance despite not favorable response from the BSP but definitely if the response is not positive, he must prepare himself for the Next Elections for Uttar Pradesh Assembly. 2019 will be important for our nation’s political democracy and its survival and all people need to sink their differences and work towards a grand alliance of the non BJP parties so that we have a government which respect constitution and secular inclusive values of our constitution.